A common question is whether the amount of white on Piebalds determined by the parents. 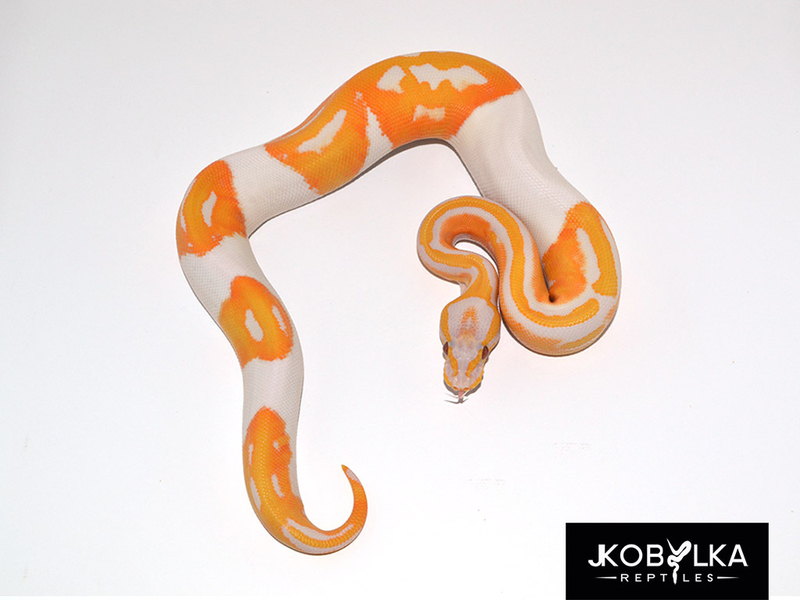 Can you buy a low white Pied and expect it to produce high-white examples? The short answer is that the % of white on REGULAR Piebalds truly is random. If you’re working with base morph Piebalds, you will receive the complete range of patterning regardless of how the parents look. Its common knowledge that even in extreme high-white Piebalds, the base gene doesn’t allow the head to be white (without manipulation by other morphs). The genetic rules that determine the placement of the remainder of the pattern are less commonly understood. My observations of 1000’s of Piebalds is that the pattern is usually “front loaded”, meaning in most cases a 50% white pied will be mostly patterned in the front 1/2 and white in the second 1/2, like the photo on the left. 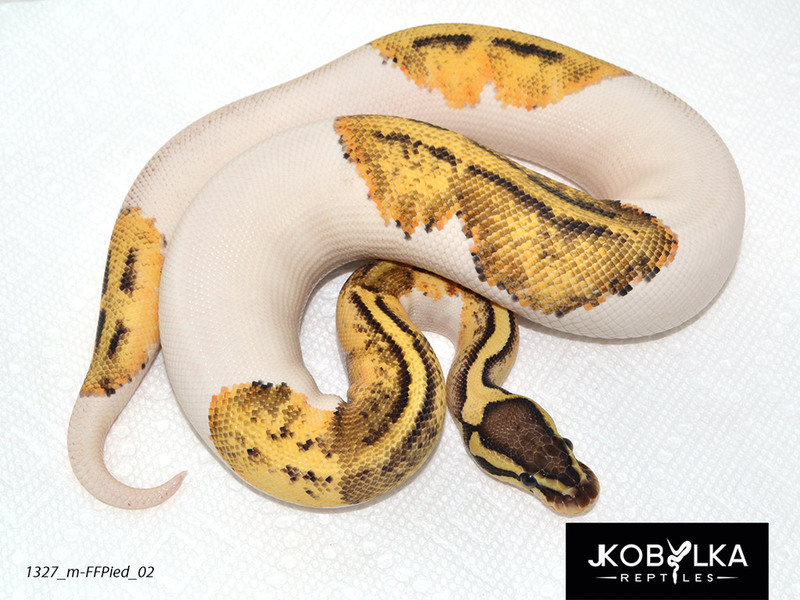 Although less common, there may be white banding in the front half, or an even saddle distribution throughout, but I have yet to see a Piebald in which the pattern was exactly reversed (front half white, back half patterned). Another observation I have made is that its very common for the very tip of the tail to be white, even when there is significant pattern on the tail. Spots of pattern on piebalds are called “saddles” for obvious reasons. 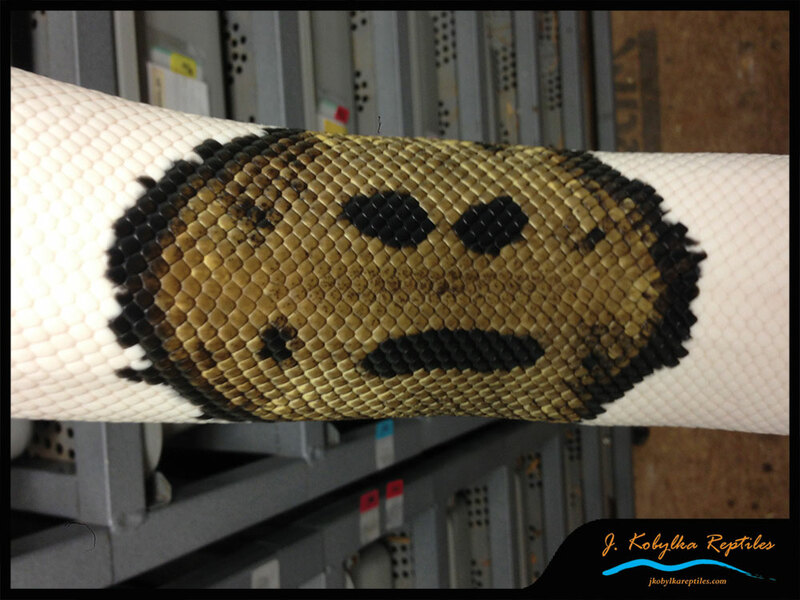 The basic pattern in these saddles is a dorsal stripe that is created by black markings bordering it other either side. To create larger areas of pattern, saddles are either elongated or pressed together. 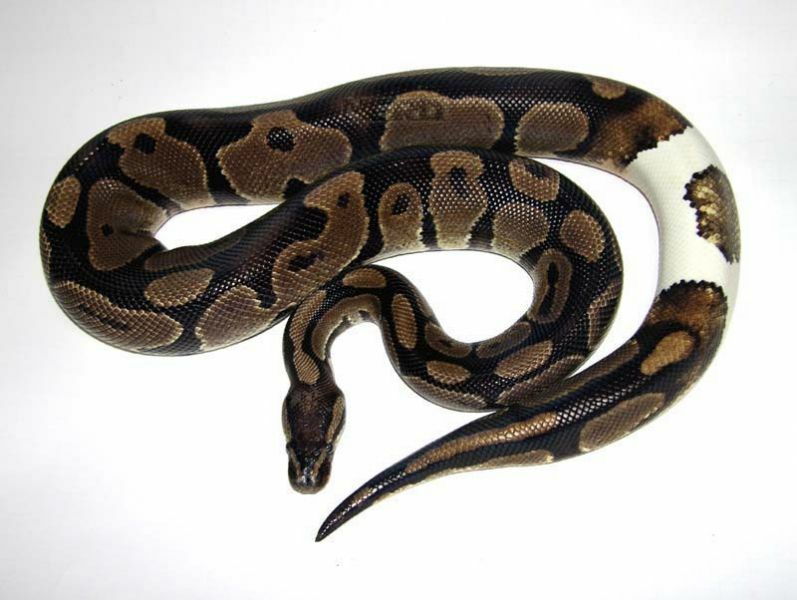 Piebalds that are so highly patterned that no white is visible on the top of the snake, can still be readily identified by the unique markings common to low-white Pieds. However to 100% determine a low-white piebald from a “ringer“, the smoking gun is always the belly. 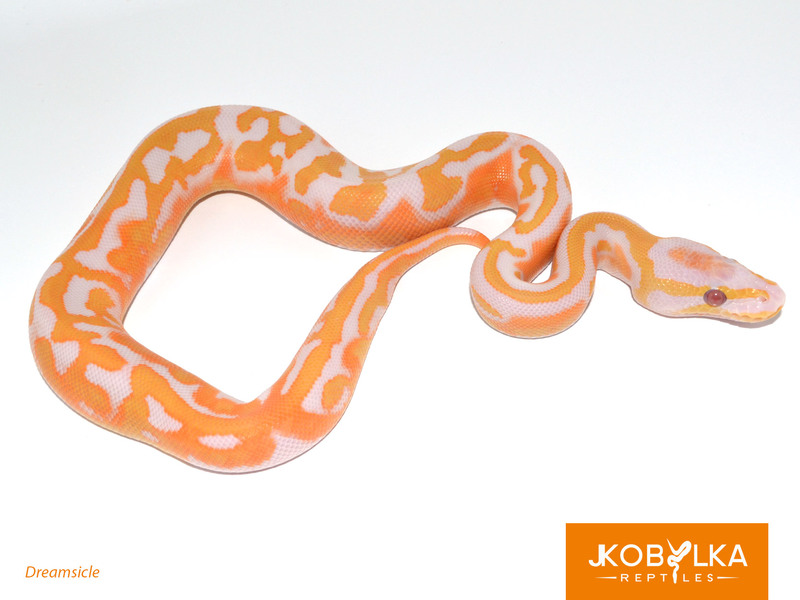 Piebalds have a pattern-free belly that is left pure white because saddles do not extend across the ventral scales. Interestingly, the bottom of the head is a combination of both pattern and the white from the belly and develops a distinctive “grey wash” that blends into the white ventral scales of the neck. 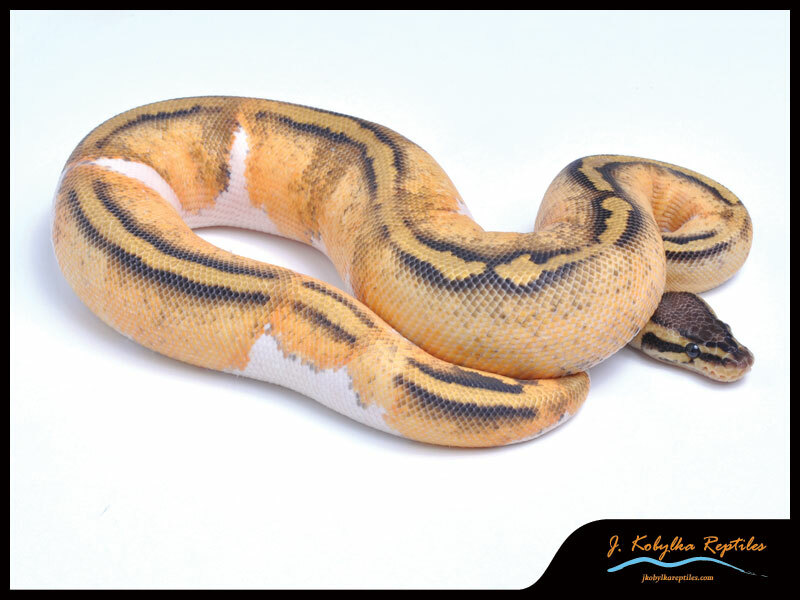 By combing other mutations with Piebald, the amount of pattern can be drastically manipulated – either higher, lower, or without effect. 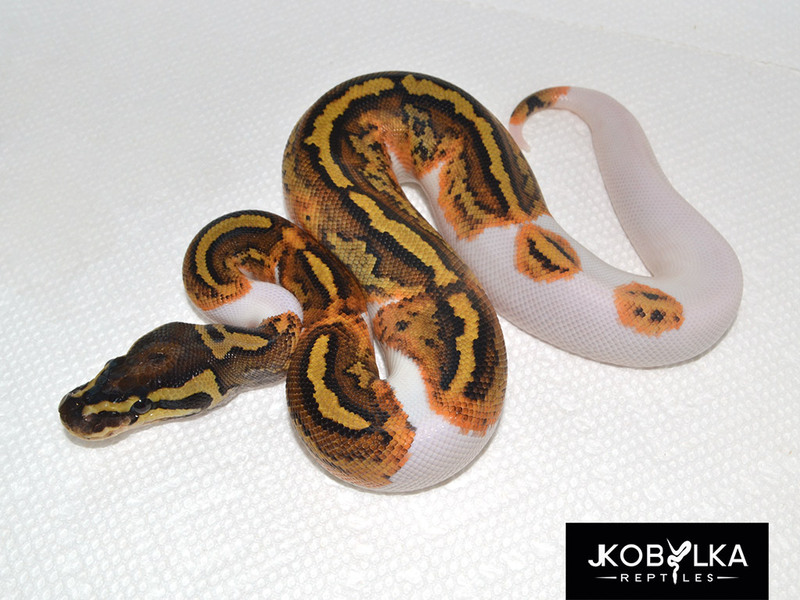 Some of most striking Piebald combos are high white. Spider Piebalds are a huge crowd-pleaser combo simply because they are always extremely high white. They look as if the head of a leucistic animal has been dipped in paint. Its other-worldly! However these high-white combos come with a big drawback. Where do you go from there? 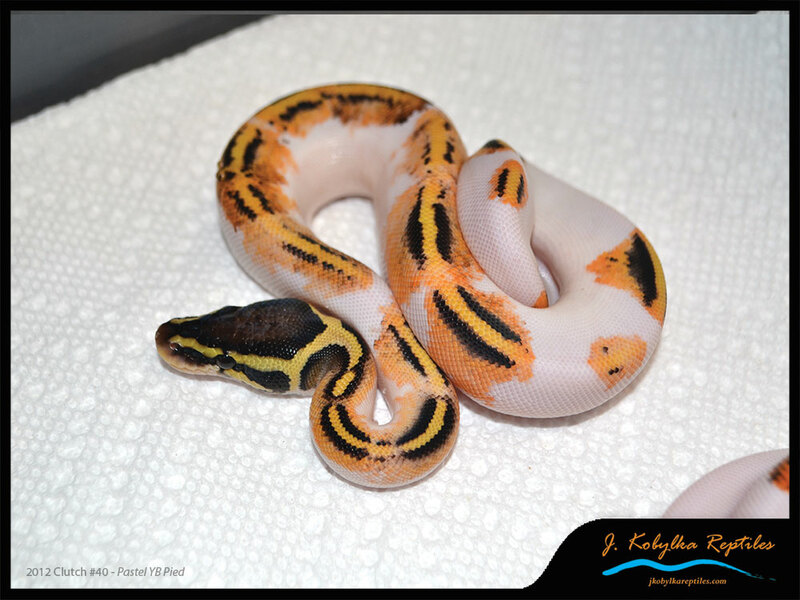 For example, adding more genes to the Spider Piebald will either reduce the amount of pattern on the head or simply change its color. 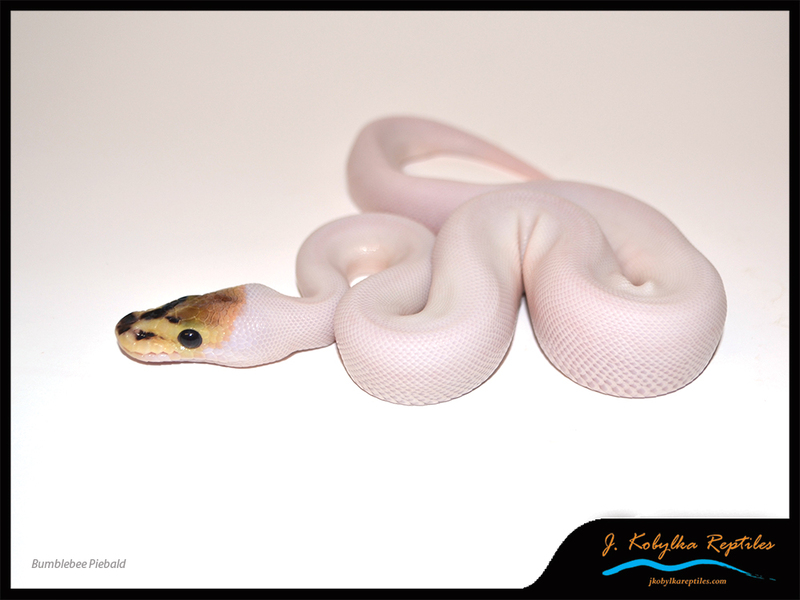 For that reason in my own Piebald collection I focus on adding genes that won’t increase the white on the snake. This gives the full range of pattern to work with when adding genes. There’s no dead-end pattern ceiling to run into. All recessives tried so far! I find it fascinating that many co-doms reduce the amount of pattern on Pied, while double recessive combos seem to be free of this issue. A another big plus for recessive projects! In the many years I’ve been producing Piebalds, my goal has as been to aim for 50% or higher pattern (low-white). To that end I’ve focused purchasing and holding back medium to high patterned animals. Its made a dramatic difference. Each season I have hatched fewer and fewer high-whited Pieds. I don’t attribute this to the Pied gene specifically, its just part of the genetic mix that is a result of years of selective breeding. The sum of the genetic material is creating this outcome, not the Piebald gene. Combining Pieds with co-doms has mixed results in pattern manipulation. 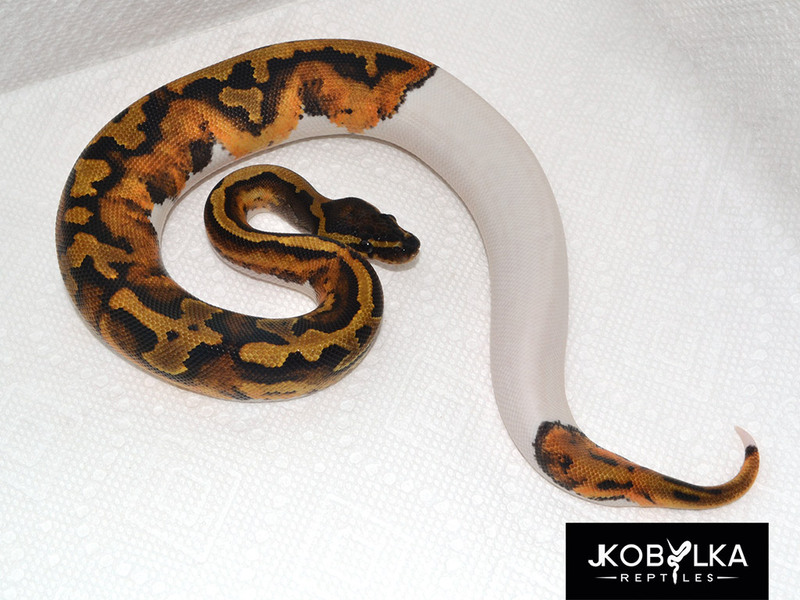 Recessives have all made standard pattern pieds. It appears as if selectively breeding over time may make the patterning somewhat more predictable. I’ll follow-up on this point as I collect more years of results. 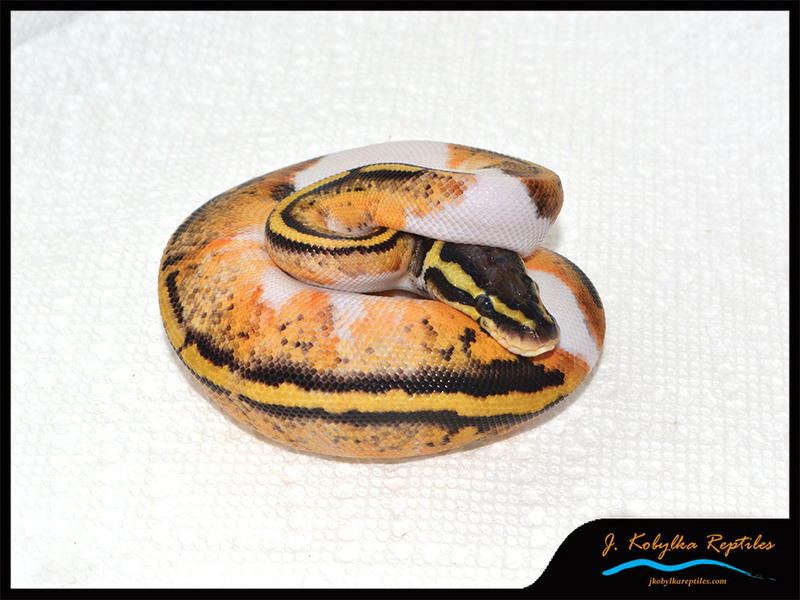 Does your Pastel Pieds bring more pattern? Interesting research. Looking forward to the next chapter on pieds.